A recipe for true love or murder? Ingredients: one Southern belle, one Colorado gold miner, a wife wanted classified, and a fainting goat. Let simmer. What's a Southern belle to do in 1863? Wife-wanted ads are always risky business, but Millie Virginia never imagined she'd survive the perilous trip across the Great Plains to find her intended husband in a pine box. Was he killed in an accident? Or murdered for his gold mine? Stuck in the mining town of Idaho Springs, Colorado territory, without friends or means, Millie is beleaguered by undesirable suitors and threatened by an unknown assailant. Her troubles escalate when the brother of her dead fianc , Dominic Drouillard, unexpectedly turns up. Dom is an ill-mannered mountain man who invades Millie's log cabin, insists that his brother was murdered, and refuses to leave until he finds the killer. Compelled to join forces with her erstwhile brother-in-law, Millie discovers the search for Colorado gold is perilous, especially with a murderer on their trail. 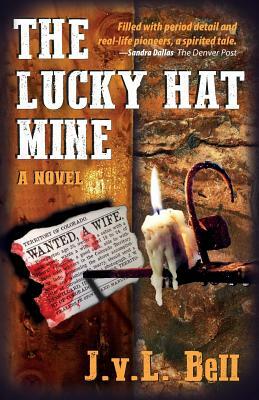 The Lucky Hat Mine interlaces the tale of a feisty heroine with frontier legend and lore making for an arousing historical murder mystery.